Epa tank 12gal gauge Gals. : 12 with Gauge..
Epa tank 12gal Gals. : 12 without Gauge..
3-gal gas tank w/ga epa/carb Gals. : 3 with Gauge..
3-gal gas tank 2011 epa/carb Gals. : 3 without Gauge..
6-gal gas tank w/ga epa/carb Gals. : 6 with Gauge..
6-gal gas tank 2011 epa/carb Gals. : 6 without Gauge.. Features a zinc coated steel buckle and 1.5" polypropylene webbing. Comes with 2 poly loops and 4 st.. Features durable 1" nylon webbing, sewn web pad, and our original 1" Kwik-Lok buckle, along with a z..
Strap gas tank 6ft (ea) Size: 1" x 6'.. Manufactured from high-density polyethylene with UV-stabilized resin. 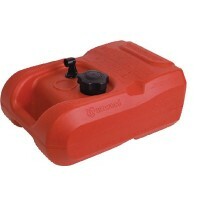 Provides positive seal with Mo..
A direct, slide-in replacement auxiliary tank for Boston Whaler Montauk 15' & 17' consoles. Construc..
Fuel pickup-poplock 360deg 12 Description: 12" Poplock fuel pick-up..
Fuel pickup-poplock 360deg 24 Description: 24" Poplock fuel pick-up.. 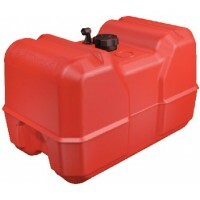 This innovative line of cross-linked polyethylene tanks is ethanol and biodiesel compliant and corro..
Tank-gas a/d 12gal 23x14x14 hi Size: 22.9"L x 14.3"W x 13.6" H with capType: High Profile..
Tank-gas a/d 12gal 24x18x11 lo Size: 24.3"L x 18.1" W x 10.75" H with capType: Low Profile..
EPA/CARB COMPLIANT. Unique design allows for easy storage in the bow of inflatable's and dinghies. M..
EPA/CARB COMPLIANT. Ultra tanks include our new 90° fuel withdrawal assembly that rotates 360° to re..
1/4npt w/drawal tank to 24in h Description: 24" Threaded fuel pick-up.. 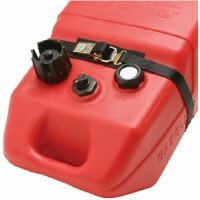 Replace aging fuel tanks and maximize your fuel capacity space with a Moeller below-deck, permanent ..
Fuel withdrawal assy 1/4in npt Description: 1/4" NPT - For 12 Gallon Low Profile Tank.. Gauge assy 12 high Application: 12 gallon - High.. Gauge assy 3-6-9-12 low Application: 3, 6, 9, 12 gallon - LOW.. Gauge assy - ultra 3 & 6 Application: Ultra 3 & 6, 6BOW, 9GAS, & LPT12.. Gauge assy ultra pbw 12 gal Application: Ultra PBW12.. Plastic coated straps resist corrosion, while insuring a secure installation of tank. Includes:(8 ea.. Tank mount strips 2x30 (pr/bg) Bag: 2Size: 2" x 30" x 1/4"Color: Black..